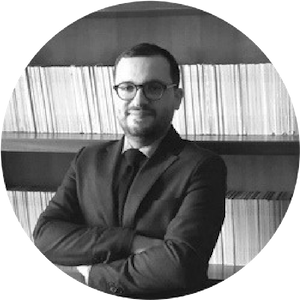 Francesco Paolo Ballirano has a broad expertise in aviation law, with specific reference to Remotely Piloted Aircraft Systems (RPAS). He advises clients in authorization and certification before ENAC for specialised operations with RPAS, as well as redacting contracts for use of drones, with particular regards to civil liability, insurance profiles, privacy and costumer relations. He assists clients on litigation, arbitration and dispute resolution, with a main focus on aviation, labour, health and civil law. Francesco contributes to national and international drones specialised magazines, he is a member of scientific committee of the journal Dronezine and he is a regular attendee at conferences, both in Italy and abroad.